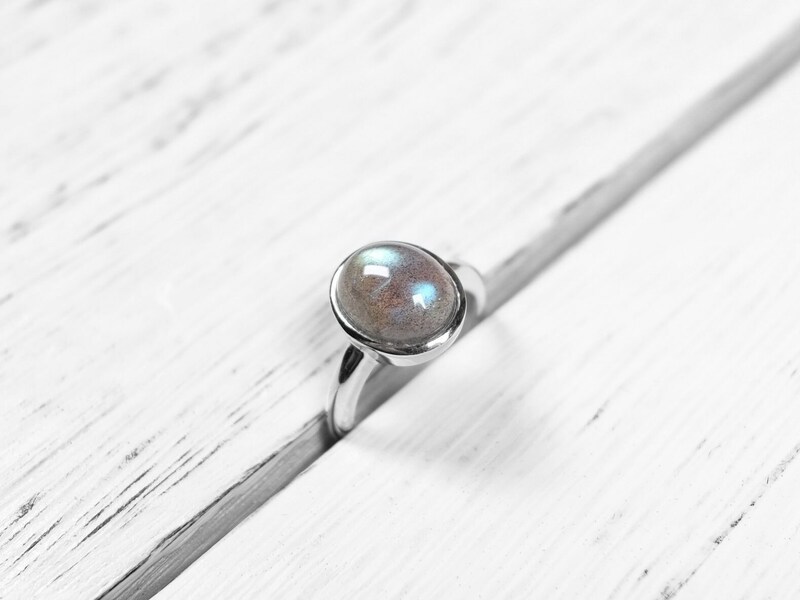 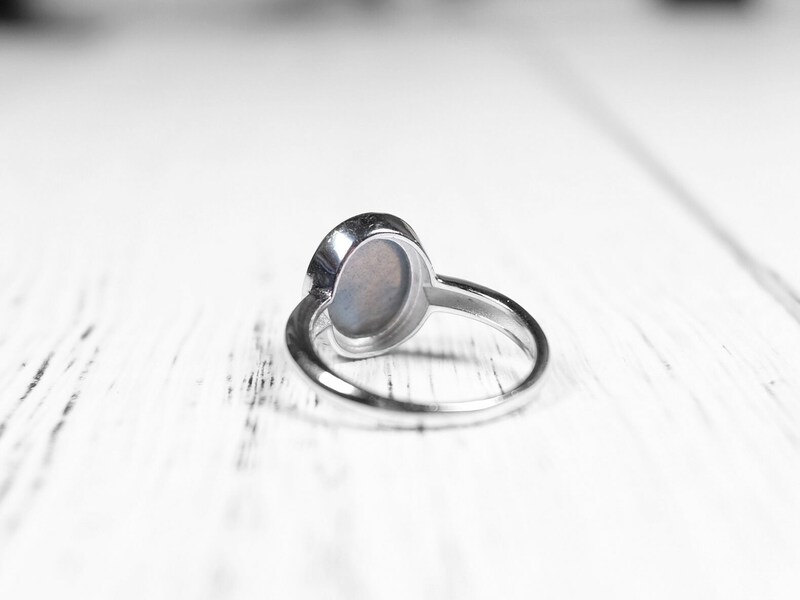 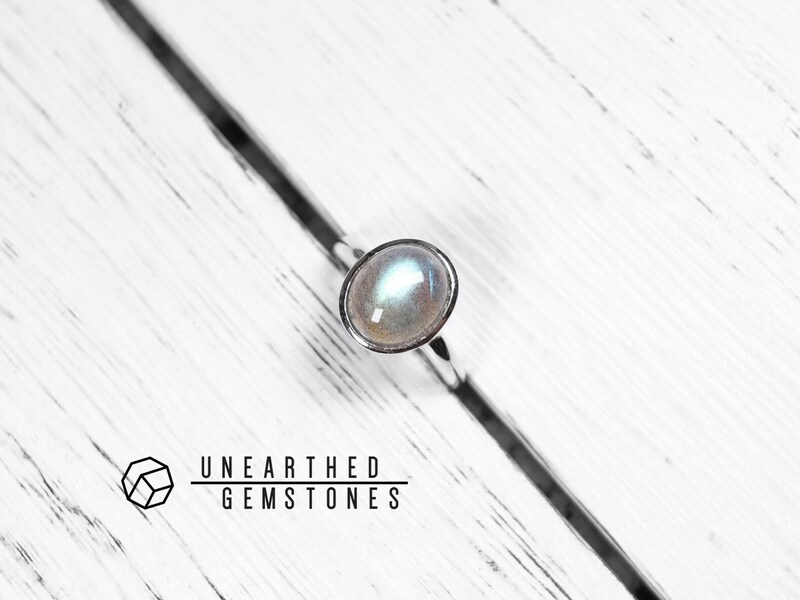 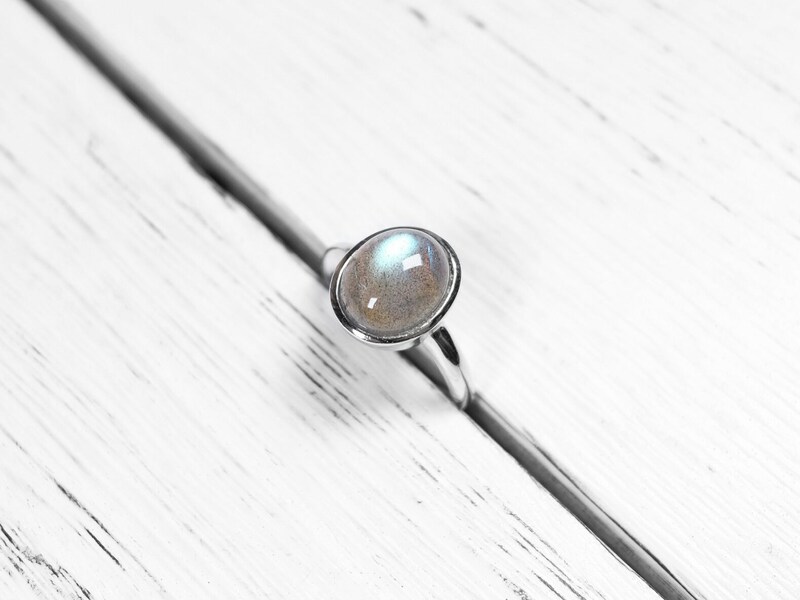 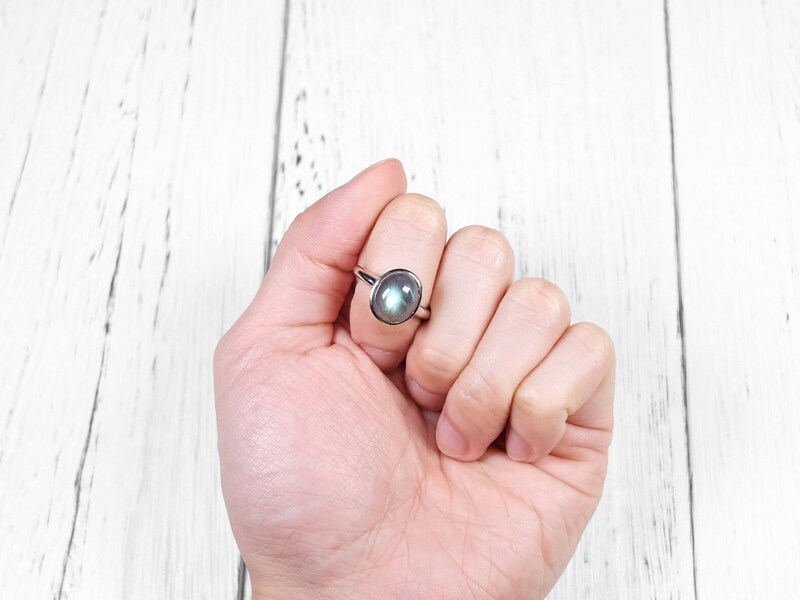 This ring uses natural and genuine labradorite with a strong bluish flash in the middle. 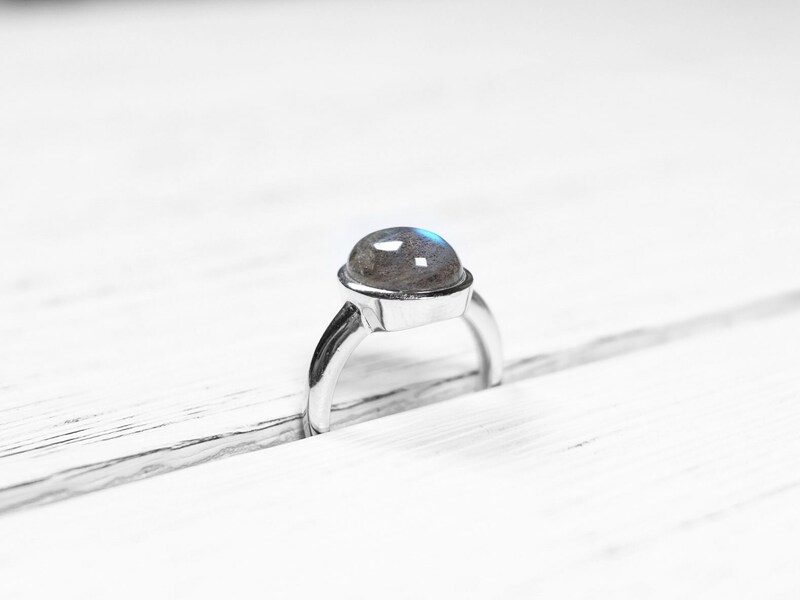 The stone is overall very clean without much unwanted black spots. 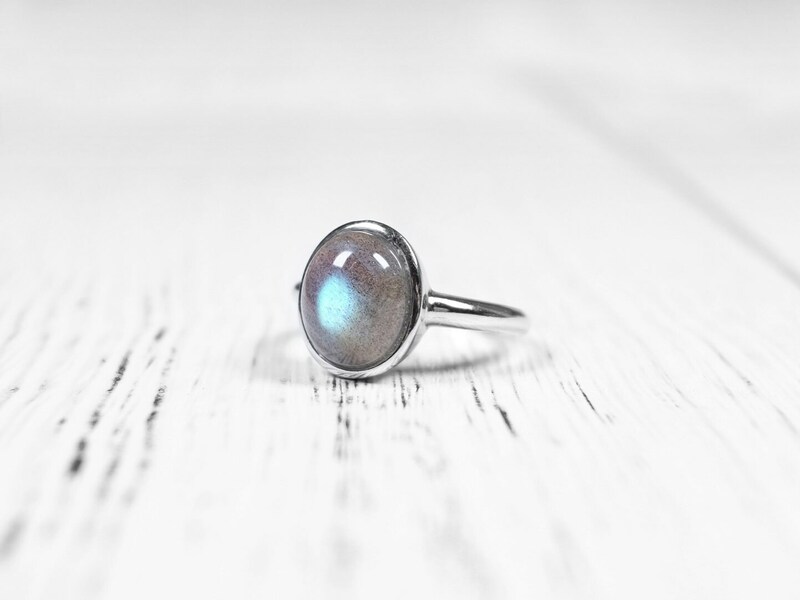 High quality labradorite. 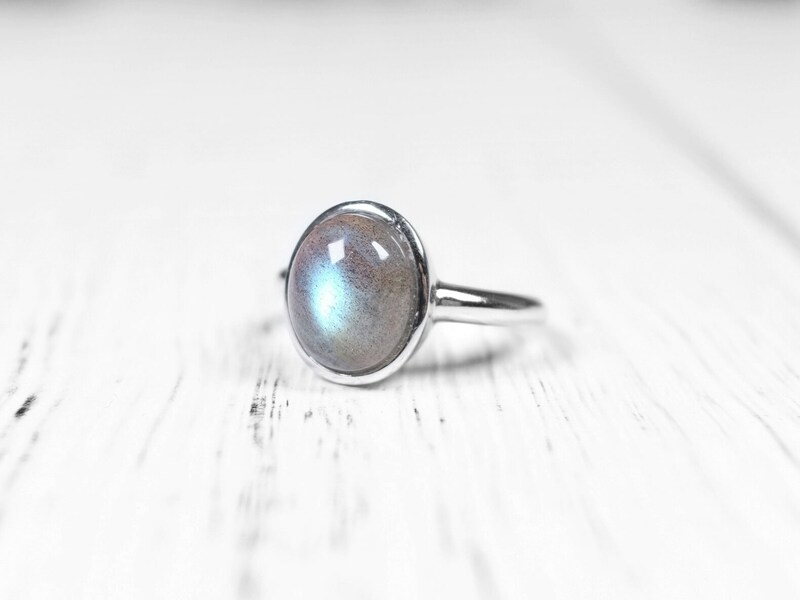 The oval-cut labradorite is set in this sterling silver ring setting. 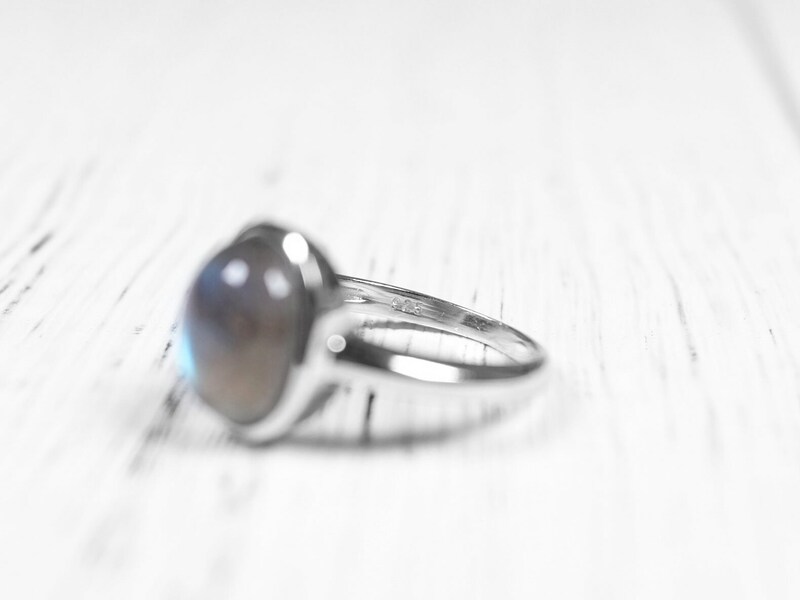 The ring size is US size 8.